The islands of the Caribbean offer fabulous fun family outdoor activities for you to enjoy when you choose to take a vacation in the region. You will find you have great weather to enjoy, amazing water sports activities and excellent places to visit. These will provide the right kind of activities that all your different family members crave. You will find that many of the different islands specialize in different activities, therefore you have to choose wisely in order to get the best place to enjoy. Below highlights will be made of various fun things that are amazing fun activities for family guest to enjoy. Although the Caribbean consists of a number of small islands you will find some excellent facilities for family members to enjoy when it comes to water parks and adventure parks. These are absolutely incredible spots for all family members. The thrilling riding you delightful water slides and lazy rivers are just a sample of what the many water park attractions will allow you to enjoy. Adventure parks will allow you to enjoy Zipline ride, bobsled rides, view lions, dolphins, and sharks to name a few exciting activities you will find at adventure parks. Some of the Caribbean islands outdoor fun family activities at water parks and adventures parks are Dominica, Dominican Republic, Jamaica, The Bahamas, Turks and Caicos Islands, Puerto Rico and St. Lucia. These parks are equiped with lazy rivers, kids pools, sesame street charaters, kids theather, zip lines, footbridges, monkey bridge, bobsled rides, and skyEplorer. You will find that your kids and teenagers will absolutely love these fun Caribbean family vacation activities. These are two other exciting fun family watersports activities for visitors. You will find that a large number of visitors to the Caribbean will say they have experienced the fun and thrills of these activities. However, you will need a little professional guidance in these activities, but once you grasp the techniques you will just have fun. There are many windsurfing rental all throughout the Caribbean, so there will be no need for you to worry. Additionally, you will find many of the top resorts will provide you with the necessary equipment as well. Parasailing is done are a relatively affordable cost and it is awesome to enjoy. The island of Jamaica (resorts in Negril and Ocho Rios), Dominican Republic (resorts in Cabarete), Cayman Islands (hotels on the Seven Miles Beach Grand Cayman), and the Antigua (resorts in Dickenson Bay, Darkwood Beach, and Turner's Beach) are some of the top spots for these two types of fun family activities. There are no shortage of equipment for these activities when you are coming to the Caribbean. This is often the case because they are all fun family activities you can really enjoy. You will find rental companies for all of the various water sports activities in the islands. Some of the top island to choose from for these activities include Jamaica, Barbados, Bahamas, Cayman Islands, and the Dominican Republic. Sailing is another of the top family activities kids and teenagers will absolutely enjoy. The islands of the United States and the British Virgin Islands are the top spots in the Caribbean to enjoy sailing. However, the Bahamas, the Grenadines, Antigua, St. Martin, St. Kitts and Nevis are also good spot for sailing. These islands are all excellent island hopping destinations with a lot of fun activities for kids, teenagers and adults. This family fun Caribbean vacation activities are absolutely fun. There are a number of different species of whales you will see in the islands and the top months of the year for whale watching are Novemebr to April. The island of Dominica, Dominican Republic, Turks and Caicos Islands, Guadeloupe and Grenada. You will also find opportunities for dolphin and flying fish watching in some of these islands as well. Submarine cruises are some of the finest family fun Caribbean activities you can expose your kids and teenagers to. These are really educational and fun for children. The Caribbean islands of Jamaica and Barbados are two of the main islands for this family vacation adventures. When you speak of hiking in the Caribbean there are some many options. Family visitors can take the opportunity to hike a volcano which provides some awesome experiences, go hiking on some exciting natural thrills, and hiking waterfalls to name a few. Here you will find option to go bird watching, take a soak in boiling springs or at the waterfall and just hike your way to a small secluded beach which is perfect for relaxation. All the different islands will offer fun family activities when it comes to hiking. 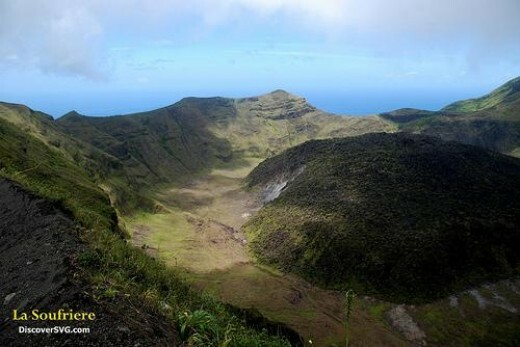 St. Vincent and the Grenadines, St. Lucia, Dominica, Guadeloupe, Anguilla, Dominican Republic, and Jamaica are some of the top country to choose from awesome hiking experiences. Apart from these many outdoor activities there are many activities you will find at the different resorts that are really fun family activities. These include golf, beach volleyball and soccer, tennis, you will find kids clubs with educational and fun games for kids, cooking lessons, beach parties, and fitness facilities that are really fun.